For dinner we went to Talula’s Garden, a farm to table restaurant that is equally eye catching as it is delicious. 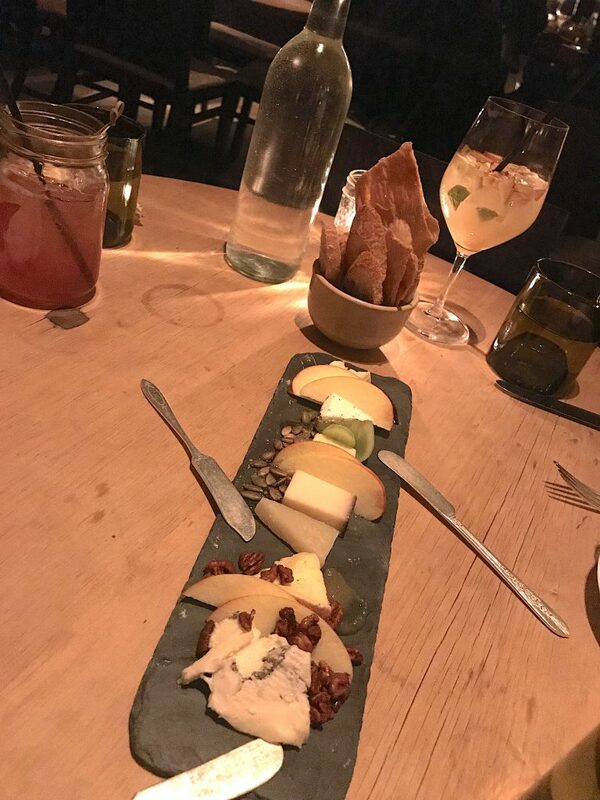 The cheese menu is what sparked our attention first, and we opted for the Seasonal Stash cheese plate. It was served so beautifully, and each cheese was delicious, bold, & unique. Sabah & I even ordered some to take home. I bought the Ubriaco di Raboso, which is washed in red wine, so the flavor is beyond amazing. 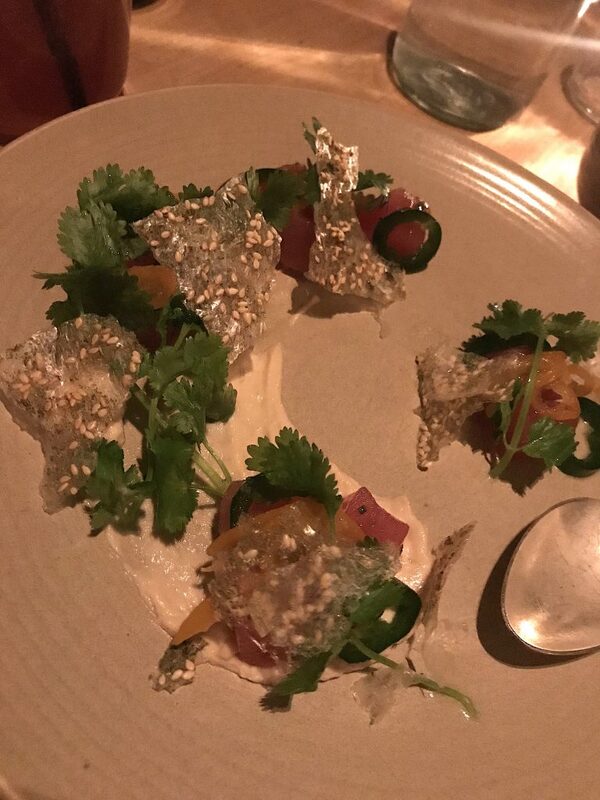 We also started with the Tuna Crudo with lime rice crisps, toasted sesame, glazed kumquats, pickled jalapeños, and cilantro. DELISH. 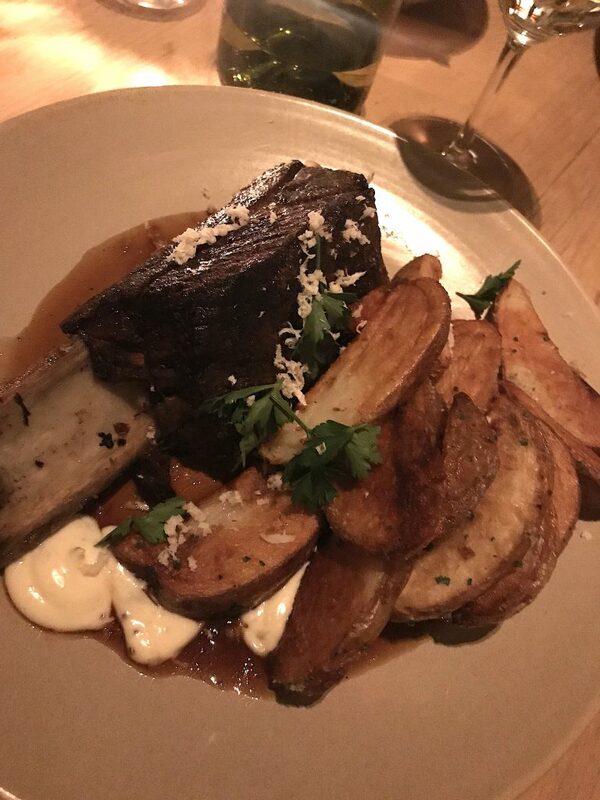 For my entree I ordered Overnight Bone-in Short Rib that had an ancho-cola glaze. 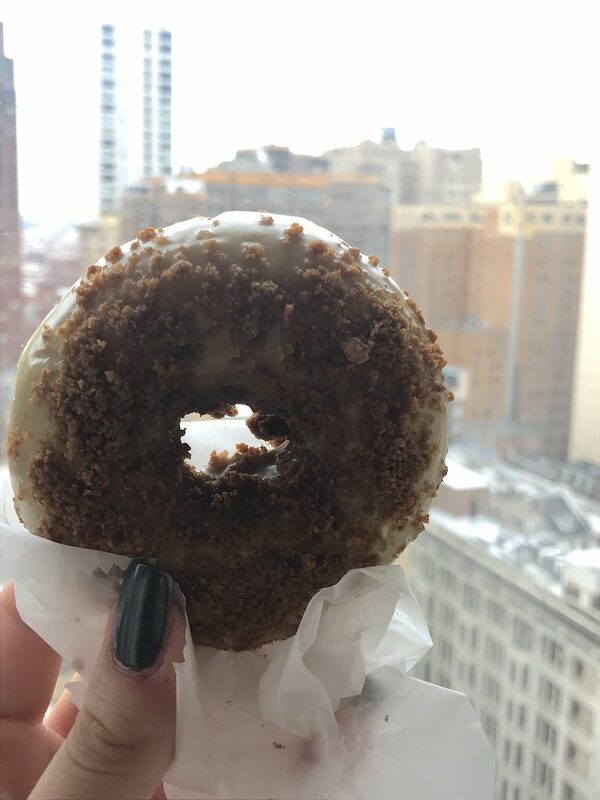 I was initially a little nervous about the glaze, I was worried it would be too sweet, but ended up being a perfect balance. 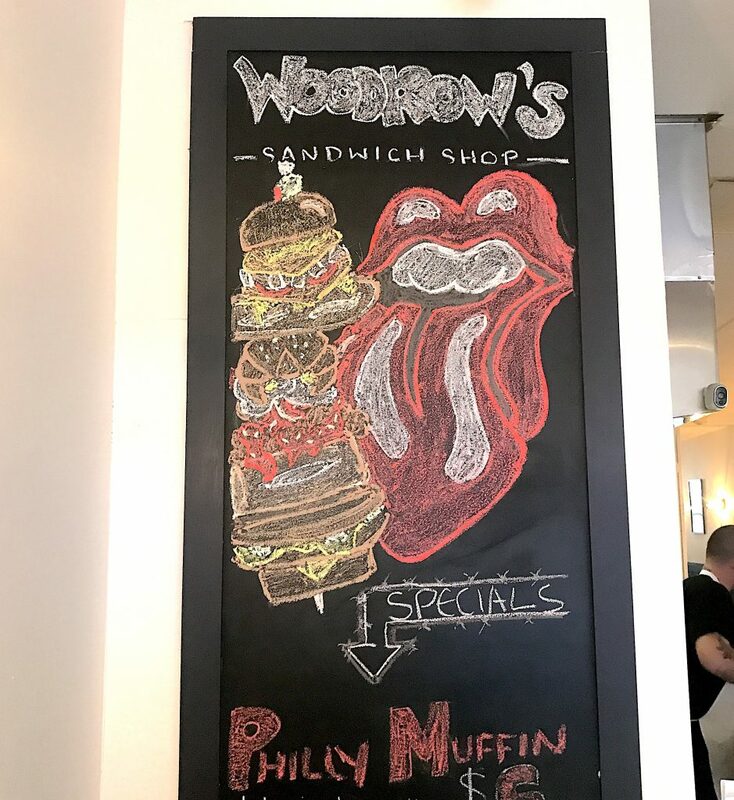 Such an interesting pair of flavors, & tasted so good. 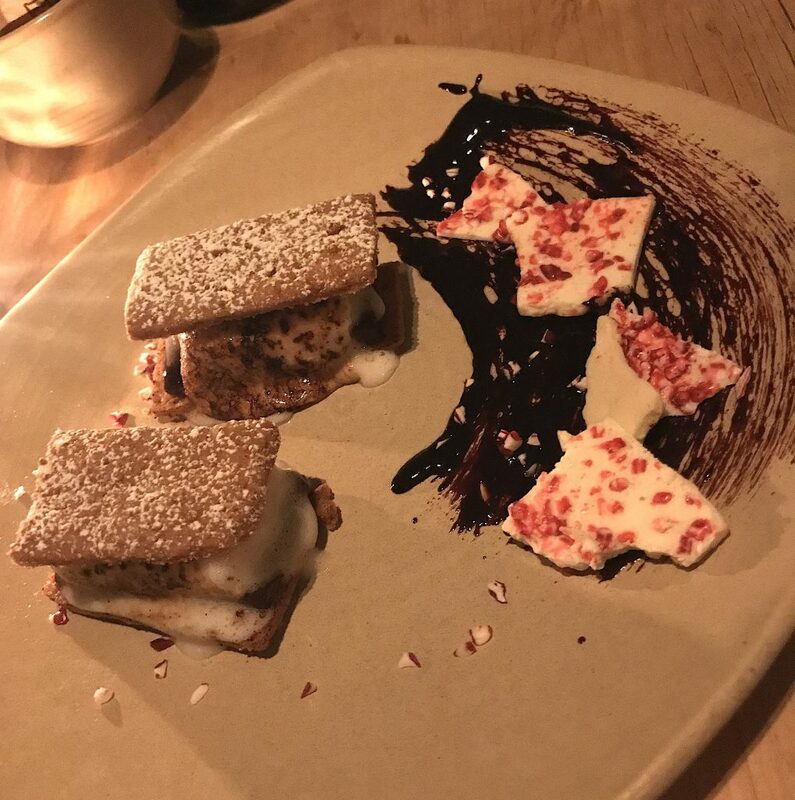 We ended our culinary journey at Talula’s Garden with the Dark Chocolate Peppermint S’mores. UGH, I want it again right now, & I loved the presentation! The cocktail and wine selection were really great too, we started off with cocktails, and then ordered a bottle of their organic white blend, the bottle was around $50, if I remember correctly. Not a bad price at all given the quality of restaurant we were in. I 100% recommend having a nice quiet dinner at Talula’s Garden, the restaurant was beautiful, eco-chic, and the food was so fresh & flavorful. 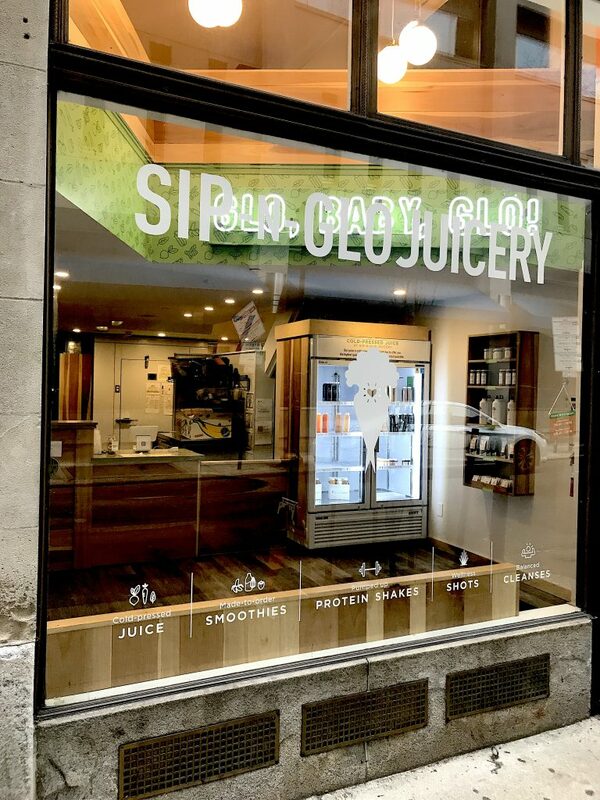 The next morning we made two pit stops before heading back to D.C. First, we got some juice at Sip-N-Glo, a juicy I noticed right across the street from the hotel. It’s a Philly juice chain, that’s apparently quite popular. 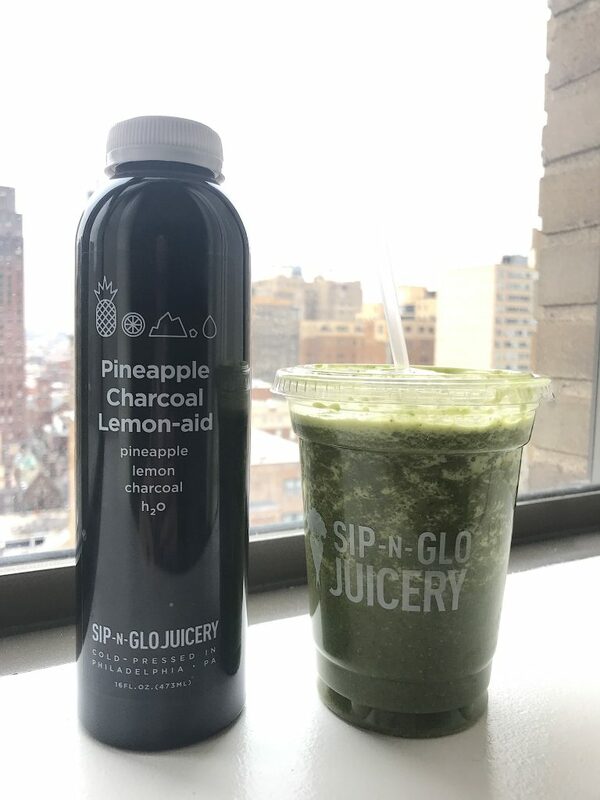 I got the Pineapple Charcoal Lemon Aid cold pressed juice, which had a sweet lemonade flavor. I also ordered a smoothie, I honestly can’t remember which one I ordered, but it was a green smoothie with peanut butter, I think! Regardless, it was super yum. 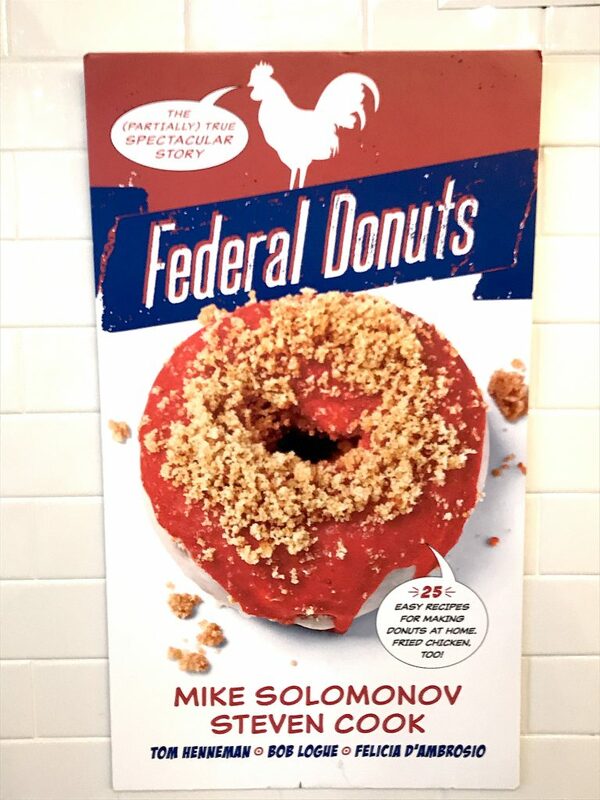 Lastly, we needed to check out Federal Donuts, which was also located across the street from the Hotel Palomar. See, this is the best hotel location, ever. 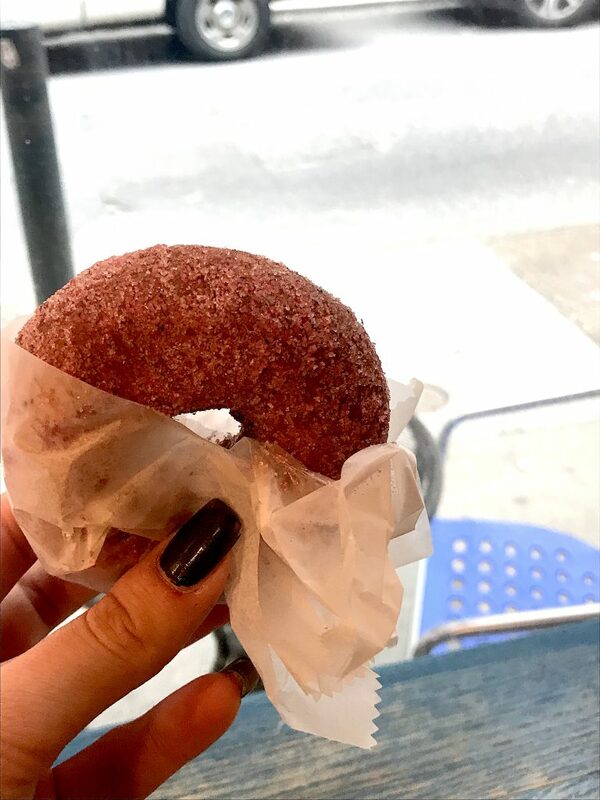 Federal Donuts has two donut categories: Hot Fresh Donuts and Fancy Donuts- it was suggested we try one of each type, which we obviously did without hesitation. I ordered the strawberry lavender, and lemon ginger. Both were delicious, obviously- & the best part was they were super light, not heavy at all. 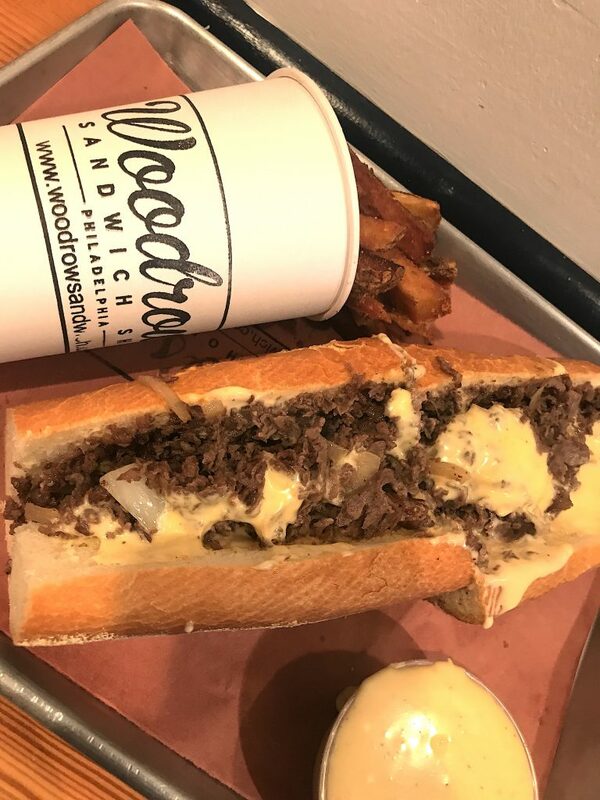 I hope you enjoyed my one day Philly Adventure! I’m hoping to do more of these local trips this year, it’s so easy to hop in the car and explore, so I’m looking forward to adding a few more not too far of a drive places to my Travel Tuesday series.